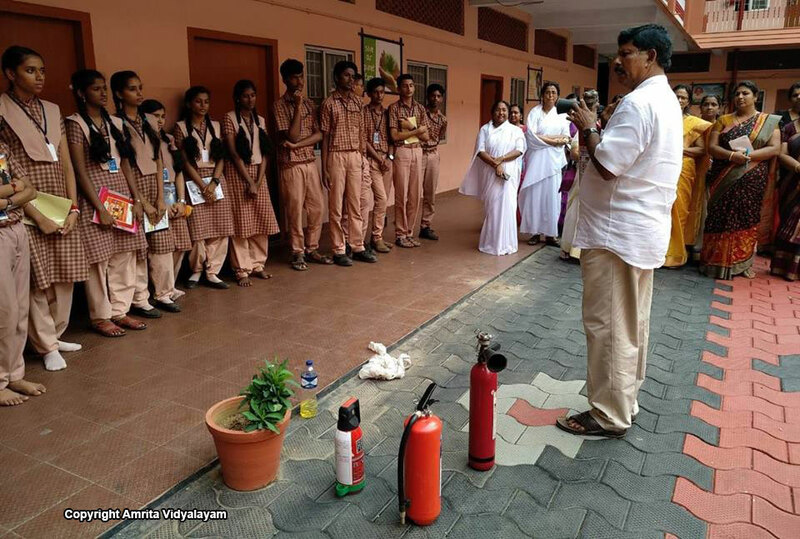 The most respected Sri Shaji and Smt. 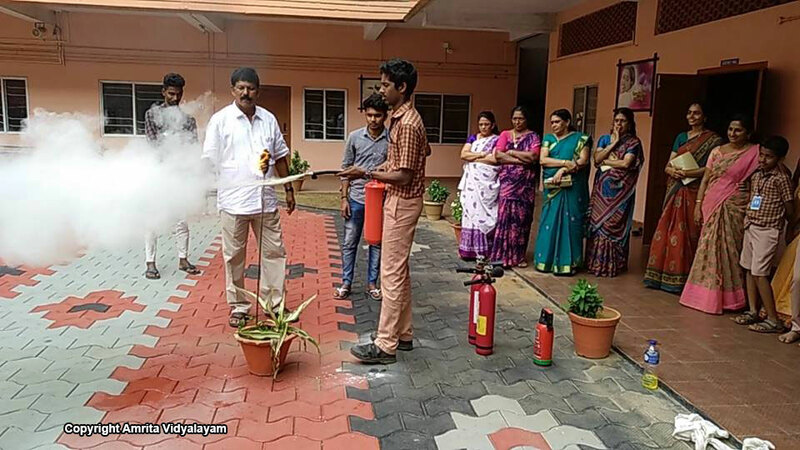 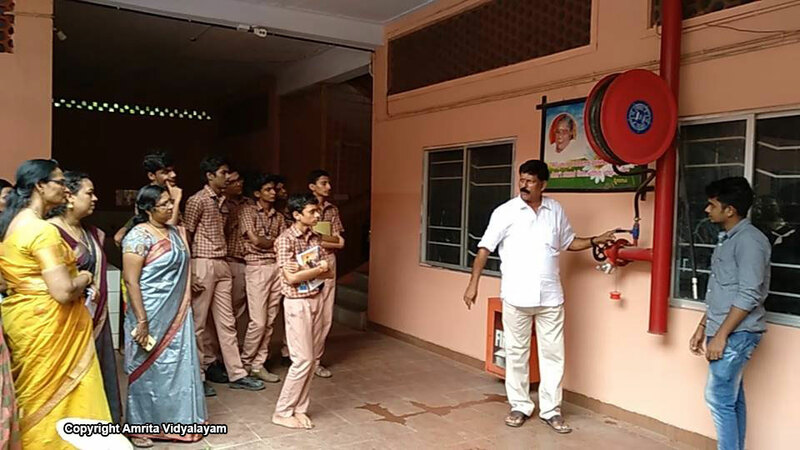 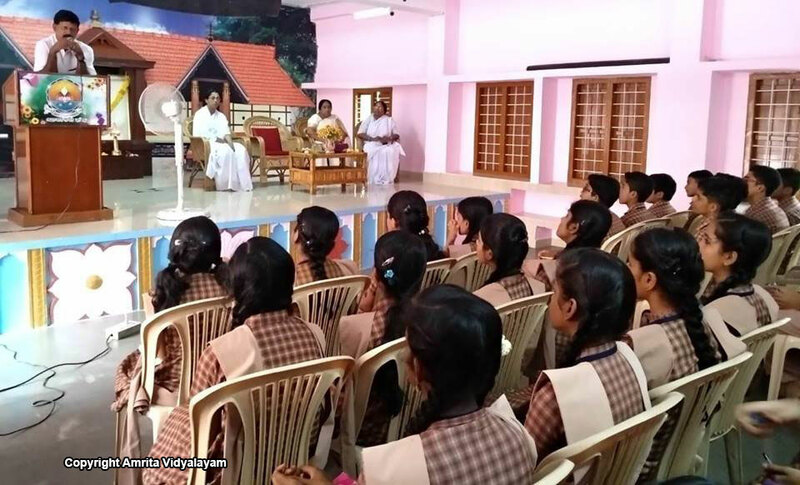 Sugunamma from our beloved AMMA’s family visited our school with two technicians to educate us on emergency procedures, safety measures while using LPG cylinders at home, and the use of fire extinguishers. 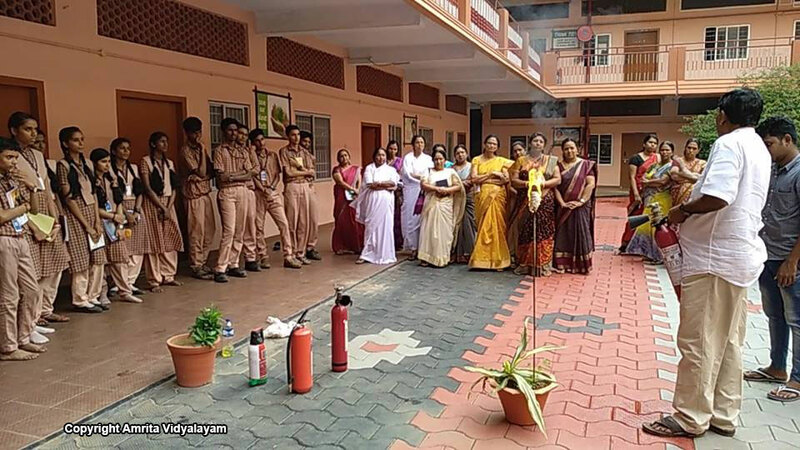 A fire-fighting demo was conducted to acquaint everyone with the correct method of using the fire safety equipment during an emergency. 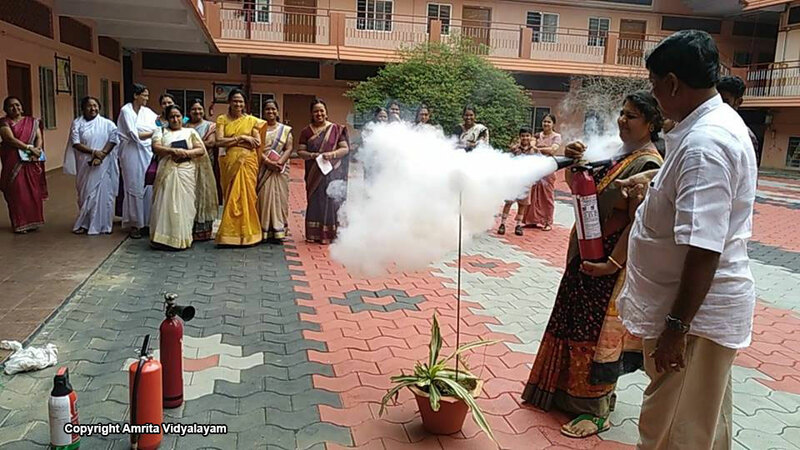 Our beloved Principal Reeja Ma’am, teachers and students participated in the demo to understand the procedure.